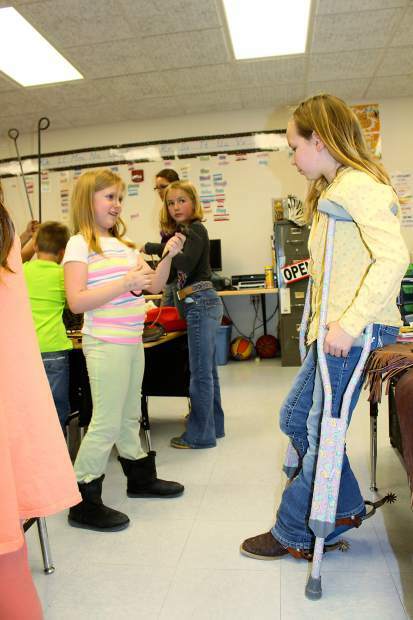 Spurs were jingling and George Strait was playing in Kylee Heinert's second grade class today. The students in Heinert's class at New Underwood Elementary brought ropes, saddles, branding irons, boots, barbed wire, bandanas, chaps and more to the second annual Cowboy Showcase. Heinert first organized the event last year. 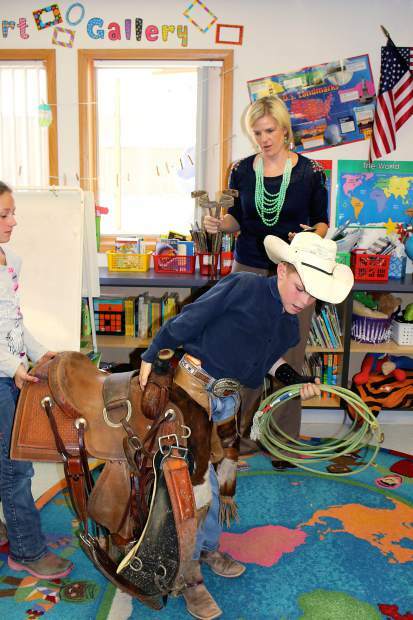 The final story in the second grade reading book is about a cowboy, so Heinert uses that as a tie-in to talk about different types of cowboys and what their jobs are. 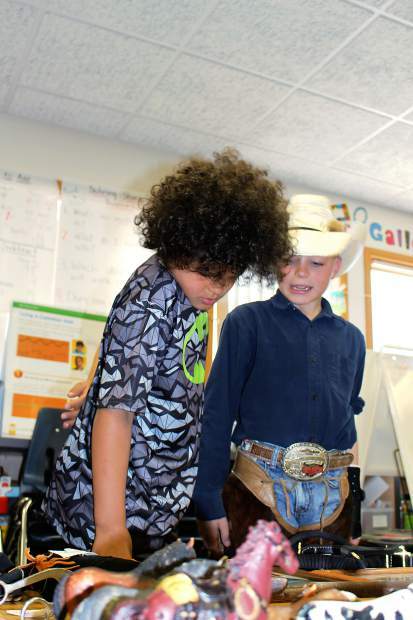 The second graders had the opportunity to discuss and share their knowledge of the cowboy way of life with the other students and teachers in the school. Several demonstrated the correct way to apply a brand, put on chaps and bridle a horse. Some students brought photos of cowboys in their families and had stories to tell. That information isn't new to most of the kids in New Underwood. 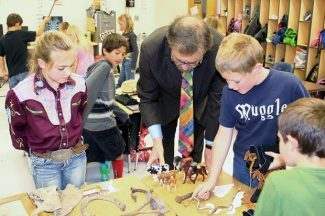 Judging by the number of boots under the desks on a normal day, the cowboy way of life is pretty familiar. This event gives those students a chance to share a heritage they're proud of, and to be the "experts" for the day. 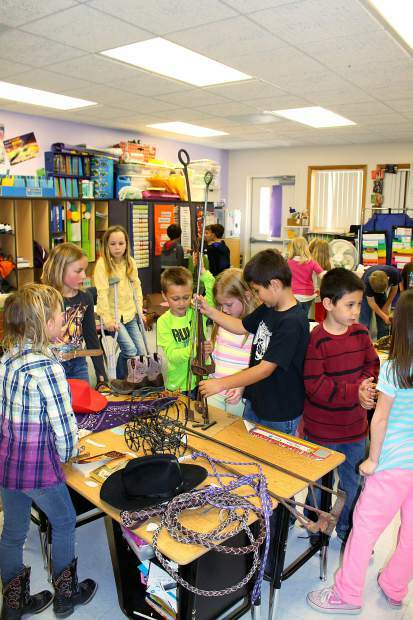 "This a special event the students enjoy participating in," Heinert said. 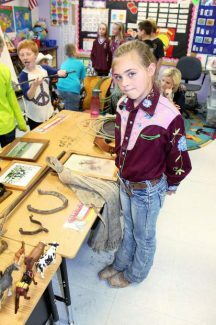 "They love to share stories and artifacts from their family. It's important to me that we honor our western cowboy culture. This is one way we try to do that." 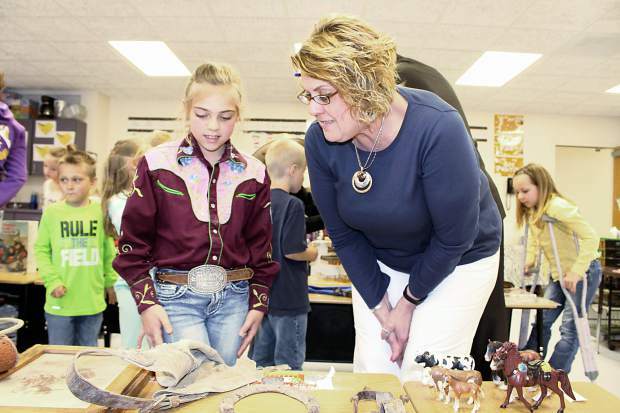 Heinert comes from a ranching background, in the Mission, South Dakota area, so it has a personal connection for her as well. She plans to continue the event for future second grade classes.